Silsden’s landmark Punch Bowl pub, closed for several months, has reopened with new licensees. Chef Sam Middleton and his partner Linzi Harper (pictured above) have taken on the tenancy. Sam has been a chef since leaving school 17 years ago, most recently at the King’s Arms in Silsden, where he ran the kitchen for six years. He has also worked at the former Grouse Inn in Silsden and jointly ran a pub in Ilkley. Linzi, who has lived in Silsden since the age of three, worked at the Skipton Building Society’s head office, and also has experience in the licensed trade, having served behind the bar at the former Bridge pub in Silsden and at the Punch Bowl during David Smart’s tenancy. The Punch Bowl, dating back more than 230 years (a datestone says 1784 but that may only indicate when the then landlord arrrived), is part of the Enterprise Inns portfolio of 5,500 leased and tenanted pubs. 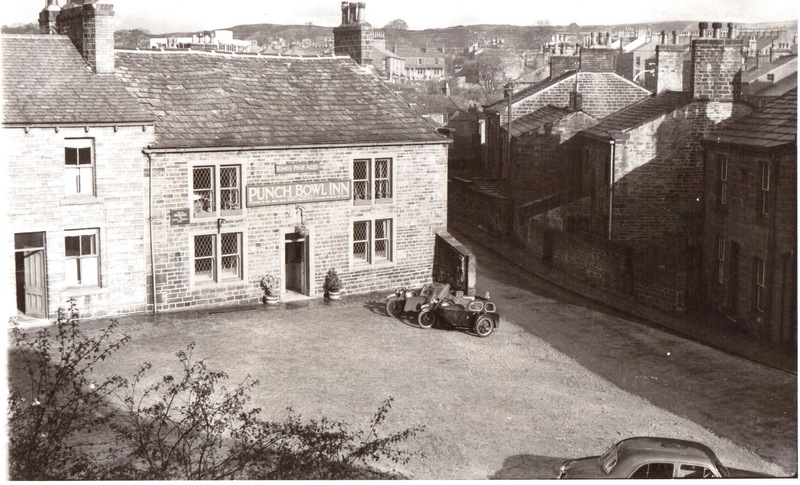 Punch Bowl Hill in front of the pub was a community hub in Victorian and Edwardian times, being popular for meetings and functions because it was the centre of Silsden. 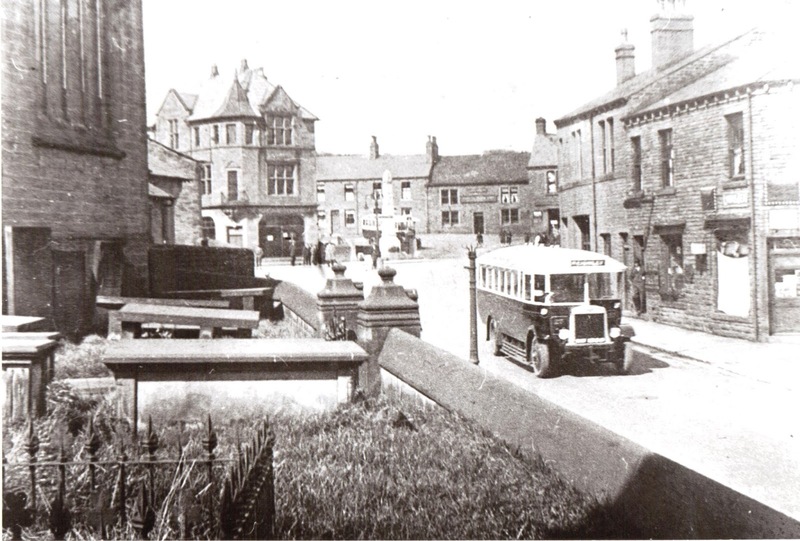 It was also the starting point and terminus for horse-drawn and early motor-bus services. This photograph, from the late Kevin Bower's collection, was taken before the Conservative Club was built in 1900. Spring and autumn sheep and cattle fairs were held on Punch Bowl Hill until 1914. The livestock pens also filled both sides of Kirkgate and Bolton Road. Political rallies and the carnival fair used to be held at the Hill. The photograph above shows the half-yearly meeting of Skipton Conservative Association in 1912. In those days, Silsden was part of the Skipton parliamentary constituency. 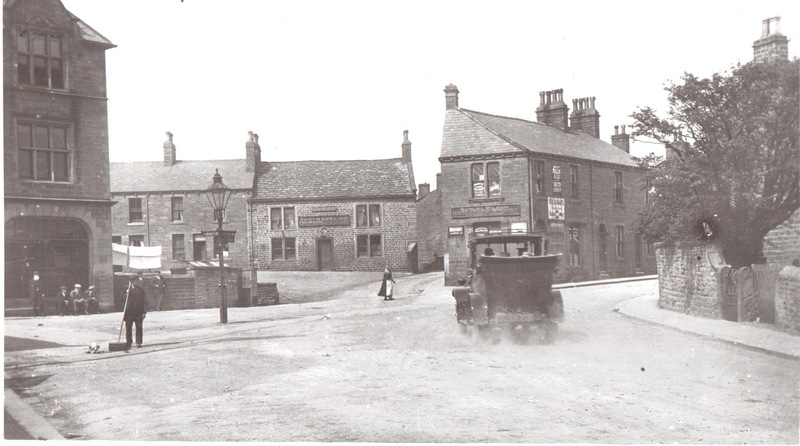 This picture from the late Kevin Bower's collection shows the Punch Bowl Inn and Road End probably shortly before the outbreak of the First World War. Looking towards the Punch Bowl in 1927. The war memorial was unveiled on its original site near the Conservative Club in 1921. To the right, partly obscured by the bus, are the former fire station and Tom Wade's garage. Motor bikes and sidecars: those were the days. This 1950s photograph is also from the late Kevin Bower's collection.